It was great to have such privacy and comfort at the Villa. We enjoyed the pool and the quiet. The area has lots of options for local, cheap and quality food. Really wonderful value by Australian standards. Everything was really nice and comfortable and so was the staff. Clean rooms. The staff was extremely nice and helpful. The breakfast was amazing. The place is outstanding, clean, breakfast served on time a good variety of food served. We loved how meticulous the hosts were with us, always at our service. The place is heaven. Calm quite , private pool super clean, we were received with flowers on the jaccuzi, the bed also was decorated with flowers a cake for our anniversary!, the room is big enough, two showers n two bathrooms ,the location is literally 20 min from the airport, the area has all what u need, food , mini markets, spa , rent a bike and roam around bali. I literally would not think twice to book the villa Again. 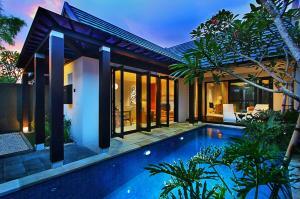 Lock in a great price for The Jineng Villas - by Karaniya Experience – rated 9 by recent guests! The Jineng Villas - by Karaniya Experience This rating is a reflection of how the property compares to the industry standard when it comes to price, facilities and services available. It's based on a self-evaluation by the property. Use this rating to help choose your stay! 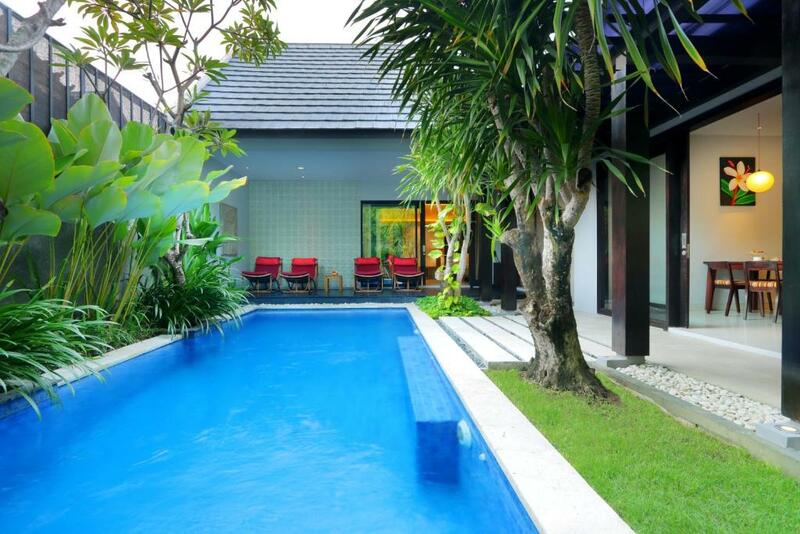 Homely villas with private pools and full kitchen facilities are featured at The Jineng Villas by Karaniya Experience, just 7 minutes' drive from sunny Seminyak Beach. It offers tropical boutique villa experience with modern comfort and tropical gardens. 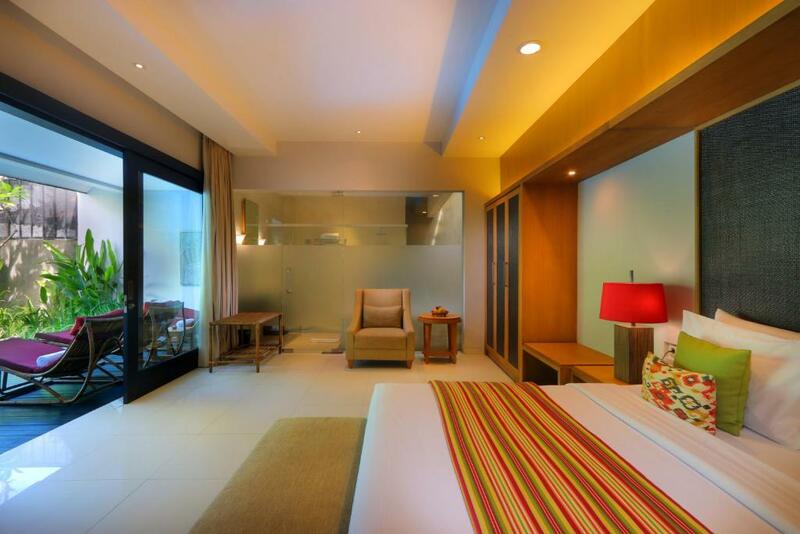 Steps away from Seminyak's shopping and dining options, The Jineng Villas by Karaniya Experience provides a free shuttle service to Ngurah Rai International Airport, located a 30-minute drive away. 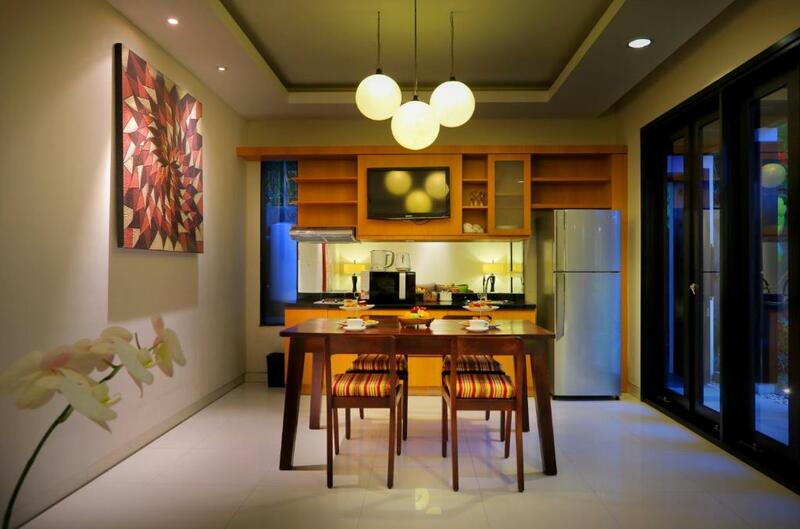 Villas provide ample living areas with a dining room and a seating area featuring a sofa set and flat-screen TV. They are air-conditioned and equipped with a mini-bar, fridge and a safe. 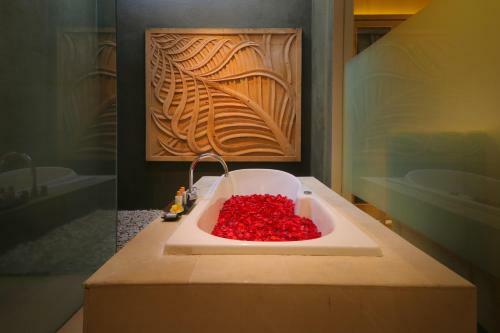 Bathrooms are luxurious with a rain shower and separate bathtub. 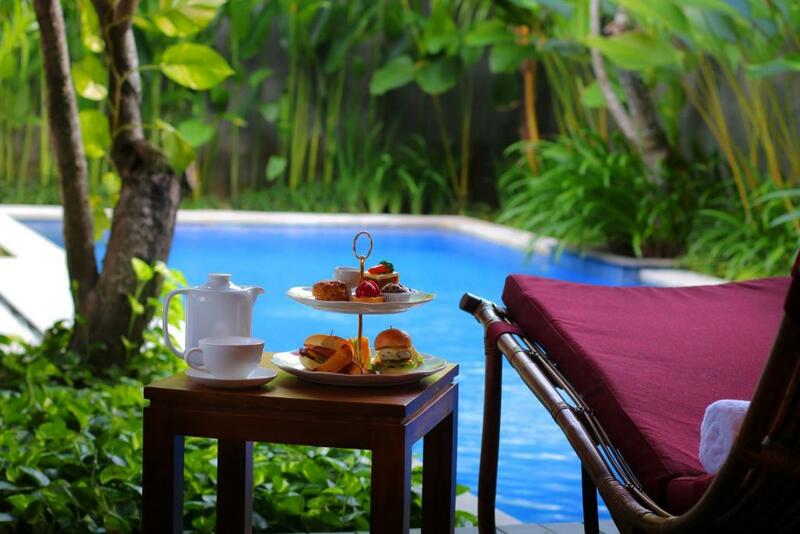 For a relaxing afternoon, request for a massage or enjoy the sun by the private pools. For some adventure, guests can make use of the bicycle rental services to explore Seminyak. When would you like to stay at The Jineng Villas - by Karaniya Experience? 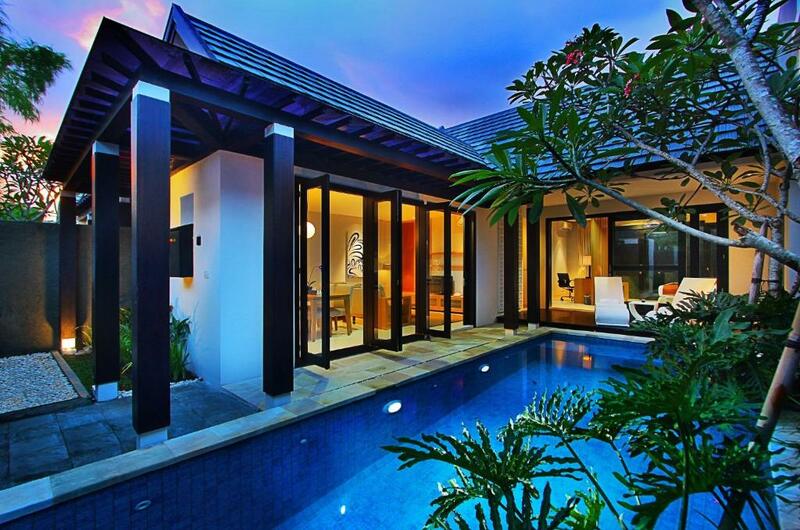 Featuring a tropical garden, this one-bedroom villa comes with separate living, dining and kitchen areas. The air-conditioned bedroom has an private bathroom. This quiet, spacious villa offers a private pool and has separate living, dining and kitchen areas. Each bedroom is air-conditioned and fitted with an private bathroom. 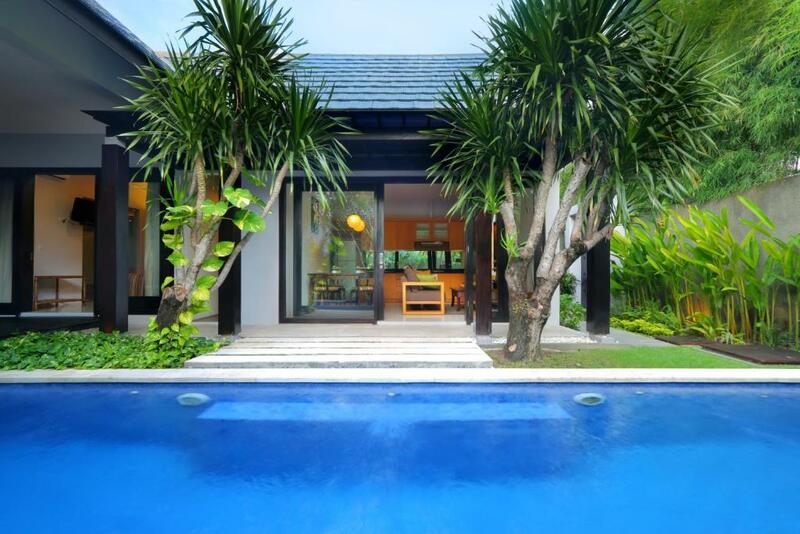 THE JINENG VILLAS is a secret secluded hideaway located in the heart of Seminyak area, the most sought-after destination on the island to shop, dine, party or simply to chill out and relax. Situated only 30 minutes drive from the airport. In front of The Jineng Villas there is a Circle K mini mart where the guest can buy anything to borrow to their villas. House Rules The Jineng Villas - by Karaniya Experience takes special requests – add in the next step! 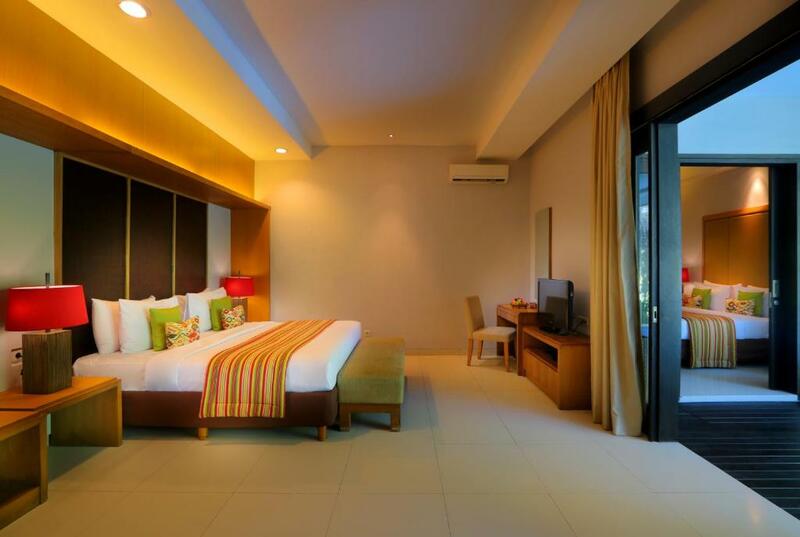 One older child or adult is charged IDR 715000 per person per night in an extra bed. The Jineng Villas - by Karaniya Experience accepts these cards and reserves the right to temporarily hold an amount prior to arrival. This property also accepts payment through online payment gateway. Having to exit the bedroom, go outside by private pool to access door to kitchen/living room. A little more choice on their food menu would have been good but not essential and didn’t effect my stay. The staff were extremely friendly and attentive. The room and grounds were very clean and the pool was large enough for a good swim and was cleaned twice daily. Well done to all who work here. Amazing Villa, very clean property , excellent services and extreamly helpful professional and friendly staff! Highly recommend! Great location, circle K directly across the road, short walk to Bingtang Supermarket, shops and eateries. Villas provide free drop off service to any location in Seminyak. Loved the Orchard Pub just a few doors up, excellent service food and drinks definitely worth at least one visit. Will definitely recommend this Villa to others and will stay here again! The smell was a little bit stinky but it get better, the breakfast was ok, the price was high but according to them it was in the high season price. Location: ( not a dislike as much as a consideration you should think about ) Whilst the location is close to the shopping district and we were able to walk there easily enough during the day, at night time you need a taxi and the traffic can be very hectic and slow when trying to get to restaurants which were located much further up town. The Villas were spacious and beautifully designed and decorated. Each villa was very private and quiet. The staff were incredibly gracious, accommodating and professional from the confirmation emails, airport pickup, check in and out, to the impeccable service we received. Excellent Villas & Service. Clean and high privacy. Great people, very friendly and open to help.